Proceed to clock recovery. 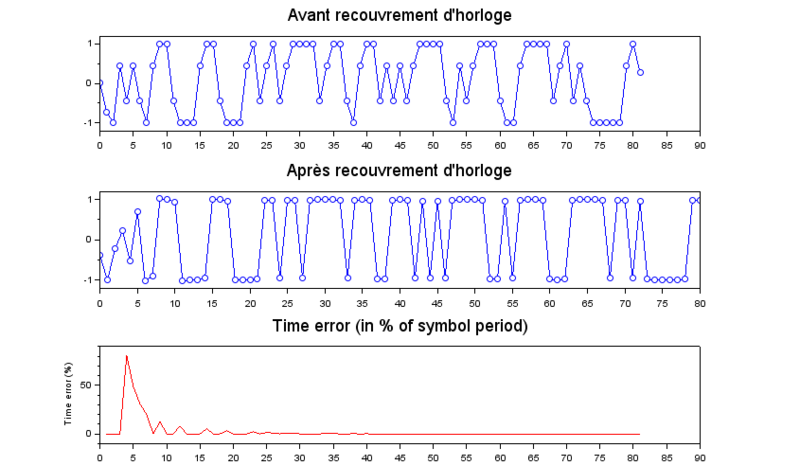 Output signal y is resampled at symbol frequency and synchronized with the detected clock. Optionnal vector, of same dimension as x, indicating the coarse RSSI indicator on the x signal. It will be used to normalize the gain on the timing error detection. If not provided, the signal is supposed to be already normalized. Given an input oversampled binary signal, this function will downsample the signal at the symbol rate, and synchronize the sampling points with the signal clock.